Cuddling is one of the greatest gifts on earth. But some people thought that Jacque the cat was too cuddly. Nonsense, I say, but that is how Jacque’s previous owners felt about him. 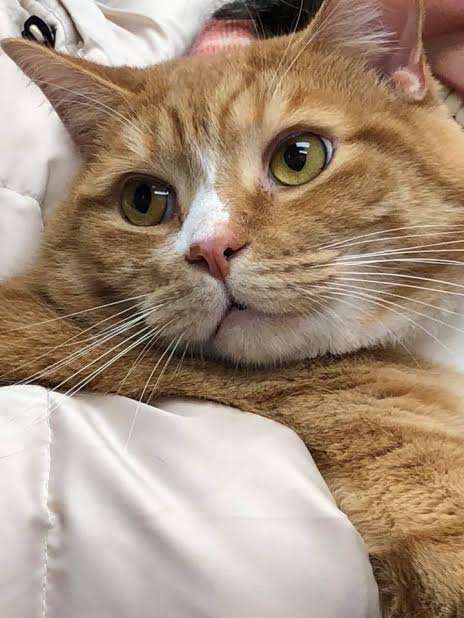 Jacque was abandoned by his first owner when all he wanted was love. 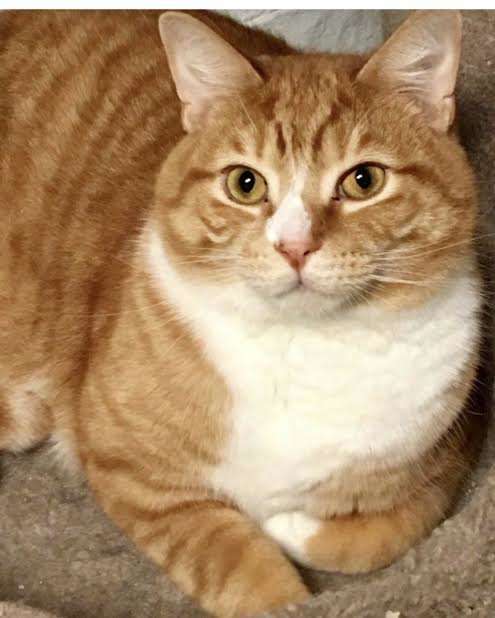 Jacque was only 7-months-old when his owner moved out of his house and left him behind. 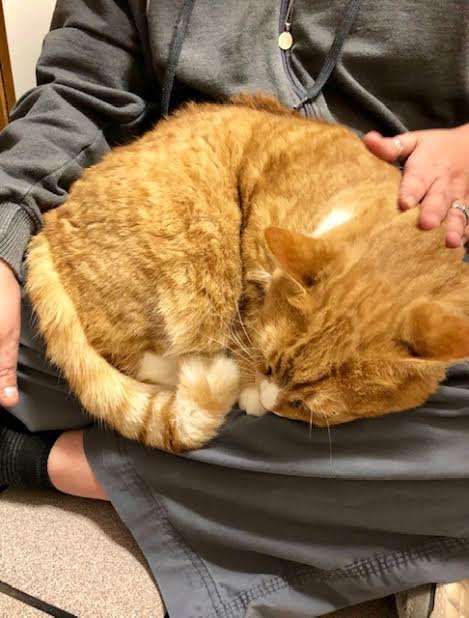 The owner didn’t even care enough to take the cat to a shelter or find him a new owner. “He was found in a house that was foreclosed upon. 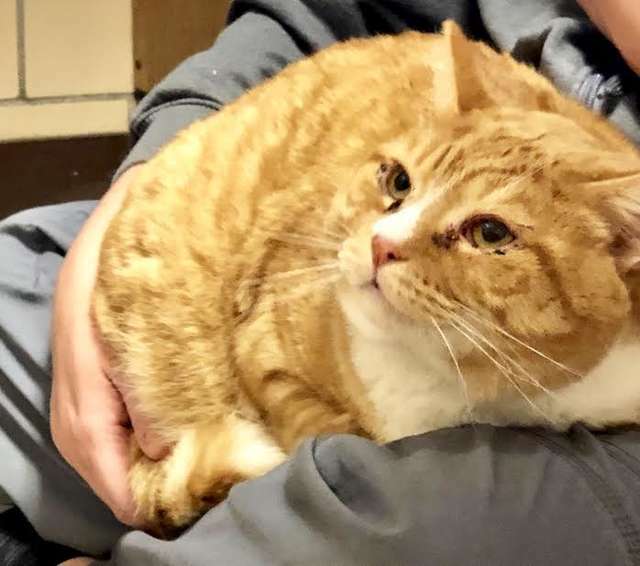 The person who owned him left him there and didn’t care,” Nancy Hutchinson, founder, and president of Michigan Cat Rescue, told The Dodo. But Jacque would run into some more trouble. 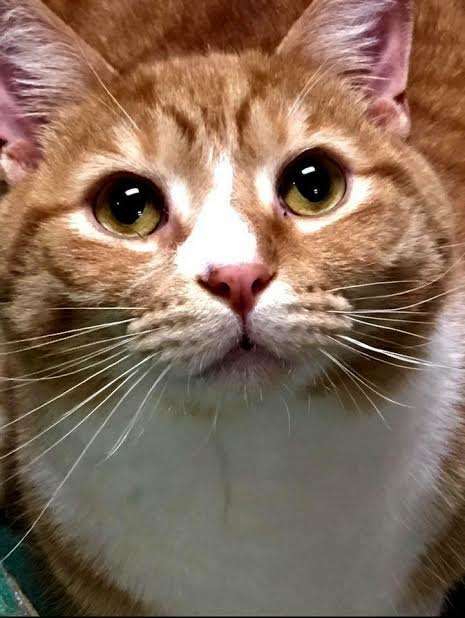 The shelter was too crowded and Jacque ended up being put on the euthanasia list. But when Hutchison stopped by the shelter, he saw something special in Jacque. 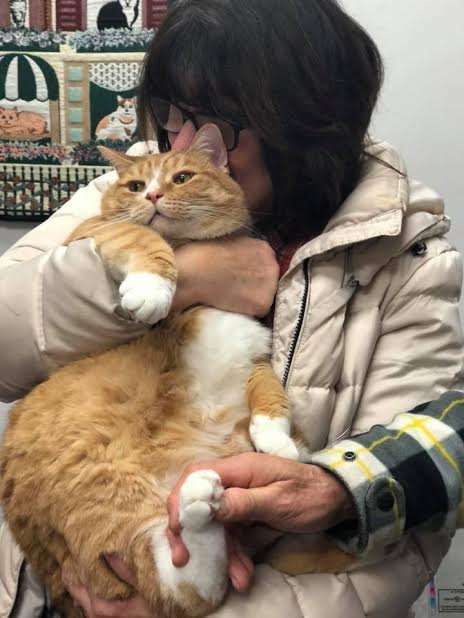 Hutchinson rescued Jaque from the shelter and brought him to the Michigan Cat Rescue. The volunteers there were able to find Jacque a home. Unfortunately, his new home was short-lived. She brought Jacque back to the organization after about a year saying she didn’t want him anymore. “She said, ‘He’s constantly trying to sit in my lap — I just can’t stand it anymore. I’ll have to return him to you — this is not what I signed up for.’ Actually, it is what she signed up for because she requested a lap cat specifically. But she just became tired of having him,” Huchinson explained. This rejection took its toll on Jacque. He was visibly distressed when he was dropped off with the rescue group and became sick. The rescue group knew they had to do right by Jacque. Their veterinarian team nursed him back to health and made sure to thoroughly screen potential adopters. “We received a lot of applications for him, but a lot of them weren’t appropriate for his personality,” Hutchinson said. But they did get a good feeling about one applicant. Liz Myziuk and her husband hit it off right away when they first met Jacque. By the time they go out of that room, they were ready to take Jacque home with him. And by that point, even Hutchinson was crying. “I think Jacque was relieved, too. I think he knew he finally had his happy ending,” Hutchinson said. 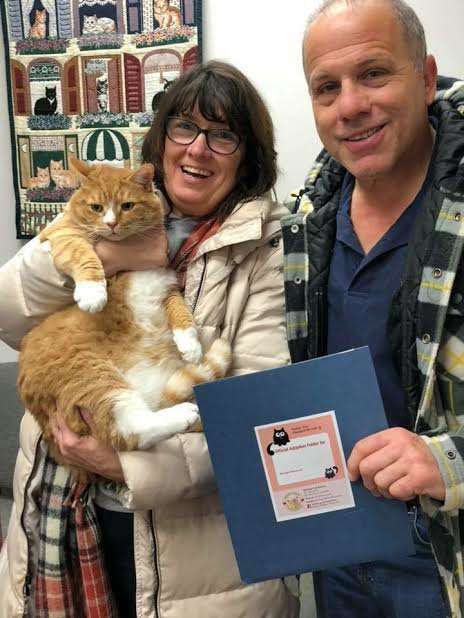 Hutchinson was overjoyed that Jacque, who was renamed Giuseppe, found a forever home with a family that just loved him so much. “They absolutely love him,” Hutchinson said. “He’s doing really well. 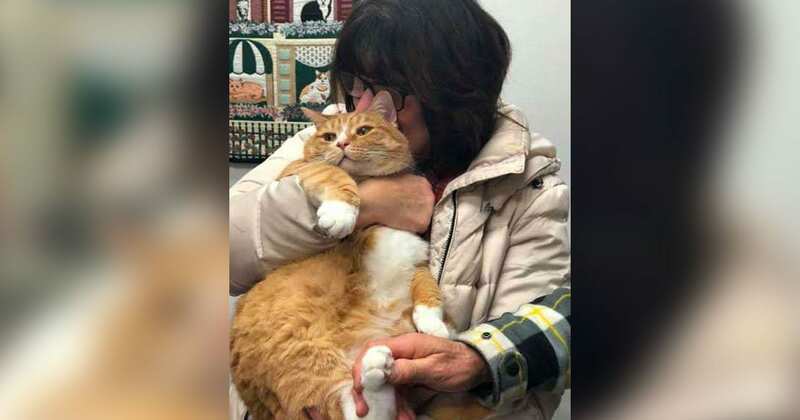 It’s just really great.”“We were so upset when he was returned to us by his owner,” she said. “I was just so heartbroken for him, and I can tell that it hurt him as well. So to find him the perfect home is just a beautiful, beautiful thing. 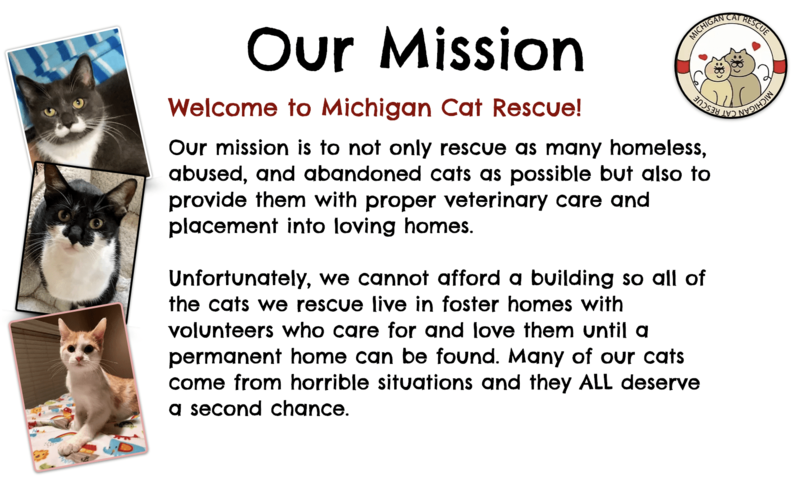 Hutchinson Giuseppe’s story is a perfect example of why the rescue group does what it does. 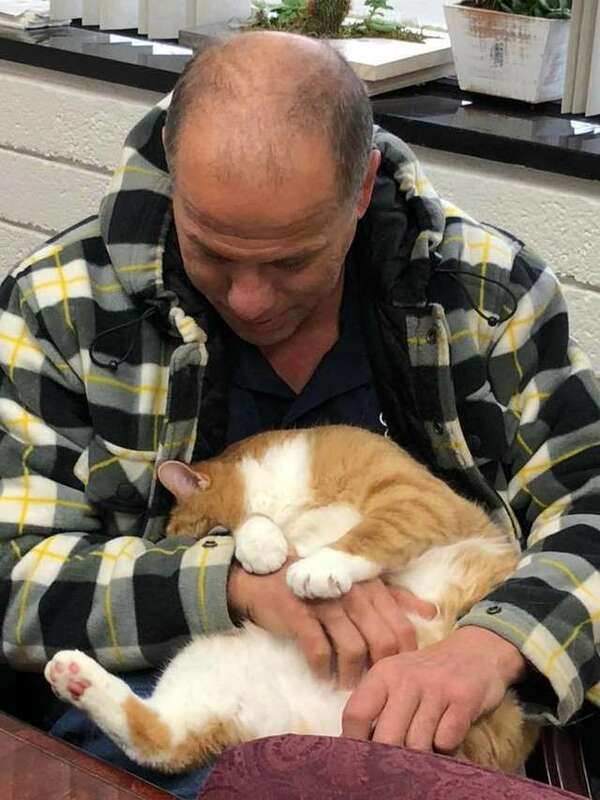 “It makes me cry because that’s why we do all of this, and that’s why we struggle every day just to save their lives so they have good happy lives,” he said. 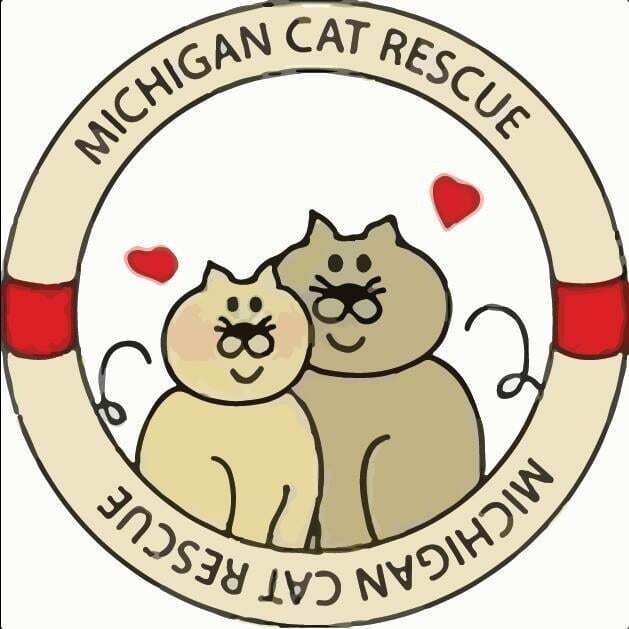 You can help the Michigan Cat Rescue help cats like Giuseppe here.